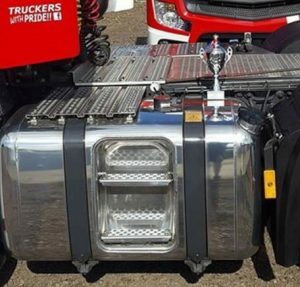 While the nation has been celebrating our finest athletes, AFS Class 1 Driver Kurt Male had a podium moment of his own, as he scooped the coveted Shiniest Tank award at this year’s prestigious Silverstone Truck Festival. Six drivers from AFS attended the event as part of the Local Hauliers’ Showcase, driving around the famous Silverstone track much to the awe and appreciation of hundreds of spectators. The annual festival offers fantastic entertainment for all the family, with highlights including British and International Truck Racing, Vintage and Classic Truck displays, Monster Trucks and much more. As for Kurt and his efforts, we all agree that this is truly the shiniest tank we at AFS have ever seen. No doubt a position exists for him on Team GB when tank shining eventually and deservedly joins the likes of BMX and Handball on the Olympic rostrum! Take the stress out of transporting your goods with our haulage solutions. Our range of haulage vehicles includes full-loads, tail-lifts and much more, contact A.F.S. Haulage in Eastleigh.